During the morning, excited children got the opportunity to speak to the volunteers and ask questions about their jobs. 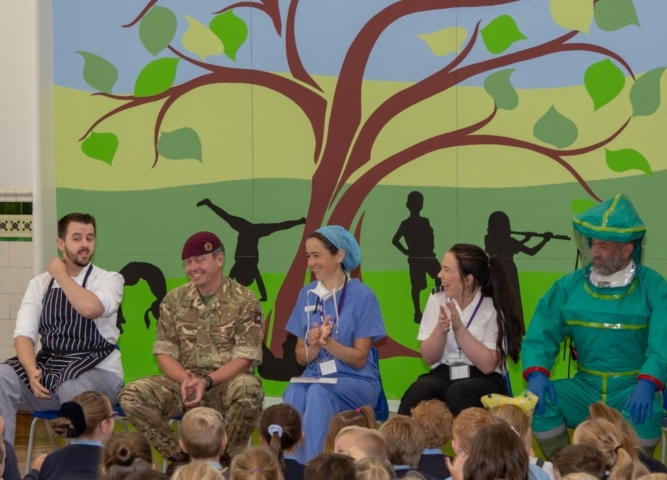 This followed a ‘What’s My Line?’ assembly which saw the children attempt to guess some of the volunteers’ occupations from questions, and a selection of props and clues. 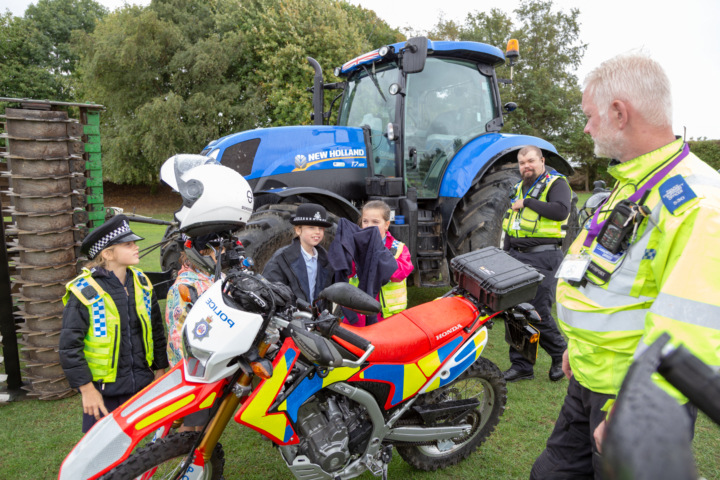 Children met and spoke with as many volunteers as possible to broaden their horizons by hearing from a range of different people, and about jobs they might not have otherwise been aware of. They asked lots of great questions and engaging with the volunteers, helping them to understand how their school learning is important to their future possibilities. Anne Longfield OBE, the Children’s Commissioner for England who is based in London attended the event and spoke about her role which involves promoting and protecting the rights of all children in England. “The event was one of a whole number which have already taken place in Wakefield schools and was inspirational. 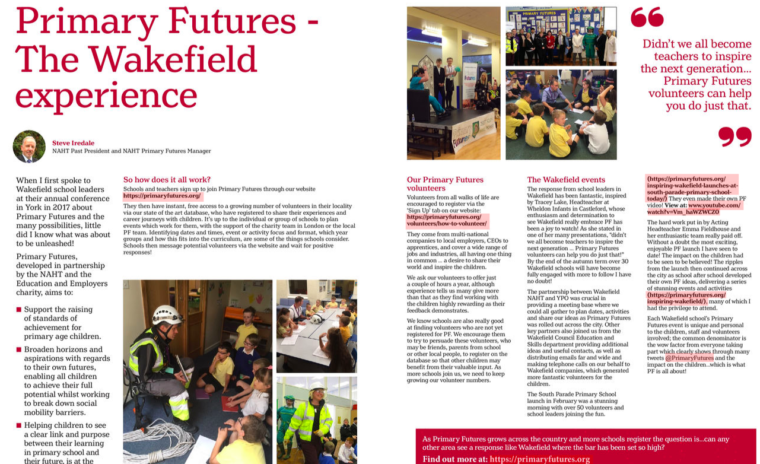 To date over 3,000 children in Wakefield have had the opportunity to be part of a Primary Futures event in a Wakefield school and the impact of these on children and often their parents has been tremendous. Inspiring Wakefield is an on-going campaign delivering a programme of inspirational events for primary school children across Wakefield. 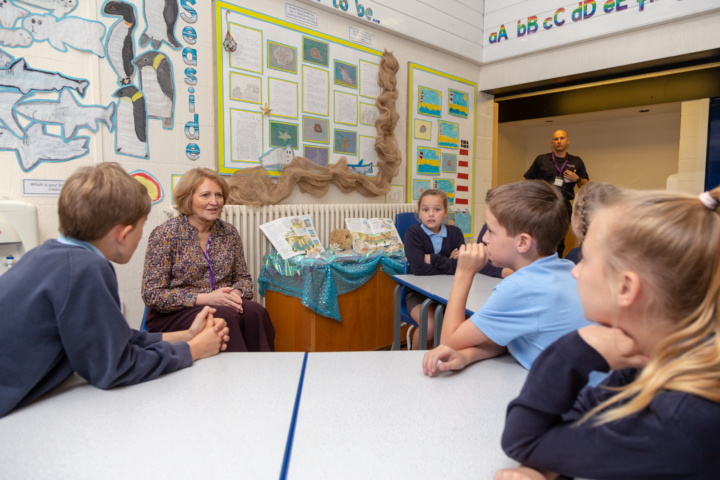 Connecting primary schools with a huge range of inspirational local volunteers, the campaign is raising children’s aspirations by showing them that if they work hard at school they can be whatever they want to be. We are delighted with the positive response to Inspiring Wakefield. The response from school leaders has been fantastic and by the end of this term over 30 primary schools in Wakefield will have engaged. You can read more about Inspiring Wakefield in the article below and visit our campaign page to find out more about the events that have taken place.